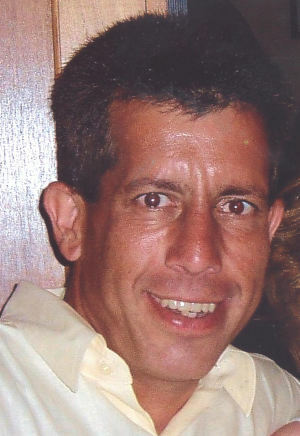 Obituary for Joseph A Nery | Wyman-Fisher Funeral Home Inc.
Joseph A. Nery of Pearl River, NY passed away on April 8th, 2019 at Joe Raso Hospice Residence in New City, NY. He was 56. Mr. Nery was a union laborer with Local 754 in Chestnut Ridge and an active member of the Working Families Party. Joe was born August 2nd, 1962 in Nyack, NY to Anthony and Marion Nery. He was educated in the Pearl River School District and attended Brockport University. Mr. Nery was an avid follower of the New York Mets and played softball for many years in Rockland County. Mr. Nery is survived by his mother, Marion; his brother, Thomas (Maria), nieces, Nicole and Anjelice; his sister, Gina (Chris), his niece, Priscilla and nephew, Christopher and his former wife, Deirdre Gilbride Nery. He is predeceased by his father, Anthony. He also leaves behind his girls Angelina and Gianna Bassi. A Mass of Christian burial will be held at St. Margaret R.C. Church, Pearl River, on Saturday, April 13th, at 10 a.m. Visiting hours will be from 3:00pm to 5:00pm and 7:00pm to 9:00pm, Friday April 12th at Wyman-Fisher Funeral Home Inc. In lieu of flowers, please make a donation in Mr. Nery’s name to Joe Raso Hospice Residence, New City, NY.